I have to be honest and say that this was a completely random find – but a great one! I was at the counter in a local surf store just before Christmas when I noticed a display box of OUCH! spray next to the till. 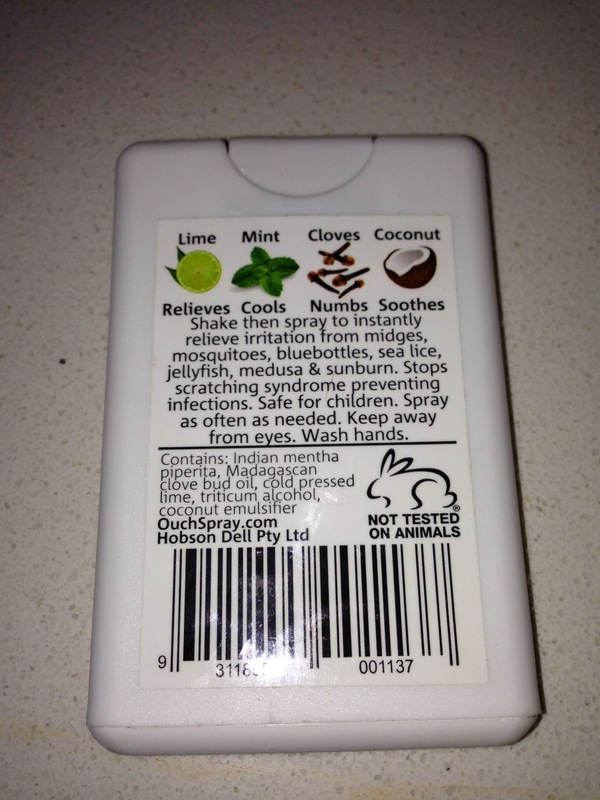 The ‘100% organic’ tag was the first thing that struck me so I picked it up to take a look and couldn’t believe my luck when I saw the Choose Cruelty Free bunny logo on the back. The man serving me said that he had actually used it the previous day for a spider bite and that he thought it was fantastic. Living in Queensland we seem to get more than our fair share of mosquitoes so I decided to give it a try. 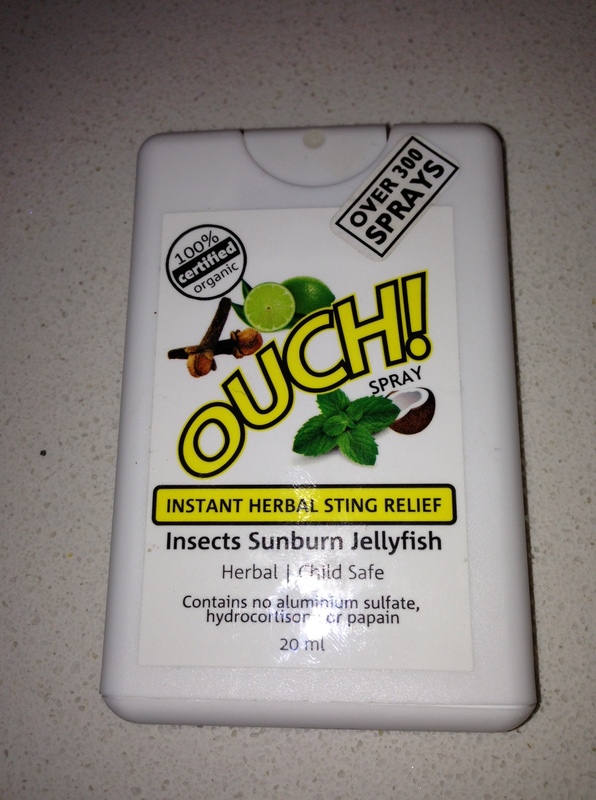 The spray itself is all natural – containing lime, mint, cloves and coconut – and promises to provide instant relief to irritation from mosquitoes, sunburn, jelly fish, bluebottles and more. It smells great as well, but best of all it works – it really works! It even passed the test with my five year old, and since it is safe for children (and can be applied as often as needed) I let her keep one in her school bag. I love this product and would recommend it to anyone. OUCH! spray costs $15 and is available at outdoor retailers in Australia – Ananconda, BCF, Ray’s, Surf Dive N Ski etc – or internationally through the website. Their website also says there is an insect repellent coming soon – also 100% organic and not tested on animals – I can’t wait! Ouch Spray from Ouch Spray on Vimeo.